African Americans and Deadly Diabetes -- 6 Symptoms That Should Never Be Ignored! More than 29 million people in the U.S., or 9.3 percent of the population, have diabetes. African Americans have some of the highest incidence rates for diabetes, along with more complications from the disease. Diabetes is treatable, but it is important to recognize the symptoms early. #1 - Excessive urination: excess urination means you have more sugar in your bloodstream that needs to be eliminated. This is a very common sign of diabetes. #2 - Excessive thirst: if you are thirsty all the time, it's another common sign of diabetes. This can become even worse if you drink sugary drinks like sodas because they add even more sugar to your bloodstream, which makes you urinate more often, which makes you more thirsty. 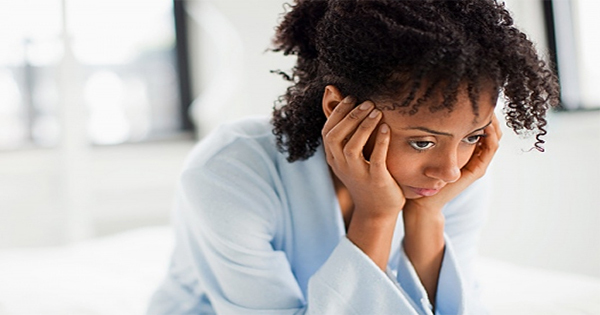 #3 - Depression and irritability: these moods are often the result of diabetes. Just as when you are sick and feeling down, high blood sugar can also affect your mood and cause depression. #4 - Blurry vision: diabetes can cause blurry vision resulting in complications with the blood vessels in the back of the eye. If left untreated, it can cause blindness. #5 - Constant fatigue: elevated blood sugar can leave you feeling tired all the time. Chronic fatigue is another common sign of diabetes. #6 - Numbness and tingling: a feeling of tingling or numbness, especially in the limbs and feet, is another sign of diabetes. It is caused by nerve damage from diabetes. Diabetes is often called the "silent killer" because the symptoms are so easy to overlook. Don't make that mistake. If you are having one or more of these symptoms, have your doctor test you for diabetes.